Known worldwide as “Mr. 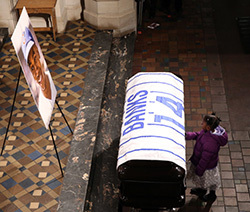 Cub,” Banks became the Cubs' first African-American player on Sept. 17, 1953, and went on to become an 11-time All-Star and two-time National League Most Valuable Player (1958-59). His boundless enthusiasm and optimism personified what it meant to be a Cubs fan.